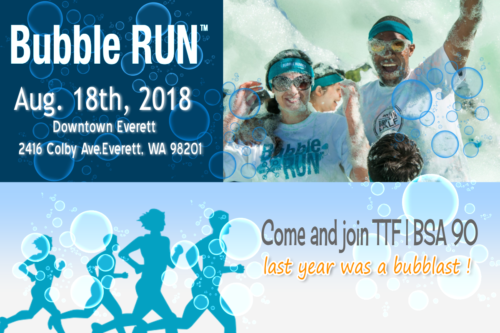 Very soon before you blink...it will be Bubble Run Time again. BSA 90 had the chance to be part of this great event last year as volunteers. It is great to see the community come together to support the cause that they choose.TTF is among those organizations. Be part of this great outdoor family time on August 18th. TTF through BSA 90 is an Organization that embraces terrain, sea and stem activities.